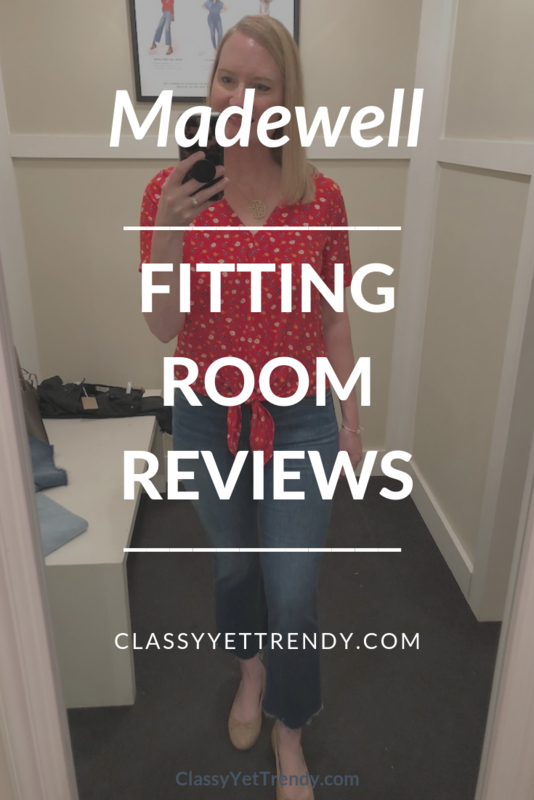 Before I do the Madewell fitting room reviews, I wanted to share why I haven’t posted anything on the blog this week. We moved to a new house! For a while, we have wanted to move from our split-level house to a one-level house. Climbing 2 sets of steps nearly all the time was getting old! We found a house not far from where we were living, in the area of town where my husband lived when he was young. The house we bought was built two years ago. We had considered building a house, but being that I’m so busy with the website and blog and because of my daughter’s health condition, we figured it was almost impossible to spend several months on a new build. So, we were able to buy the house and moved in this past week! We hired a moving company to move all the furniture and several boxes, but we needed time to clean out several rooms, so it’s taken us a bit longer to get everything moved to the new house. A couple of weeks ago, I spent a day shopping for items for our new house and also went to J Crew Factory and Madewell. 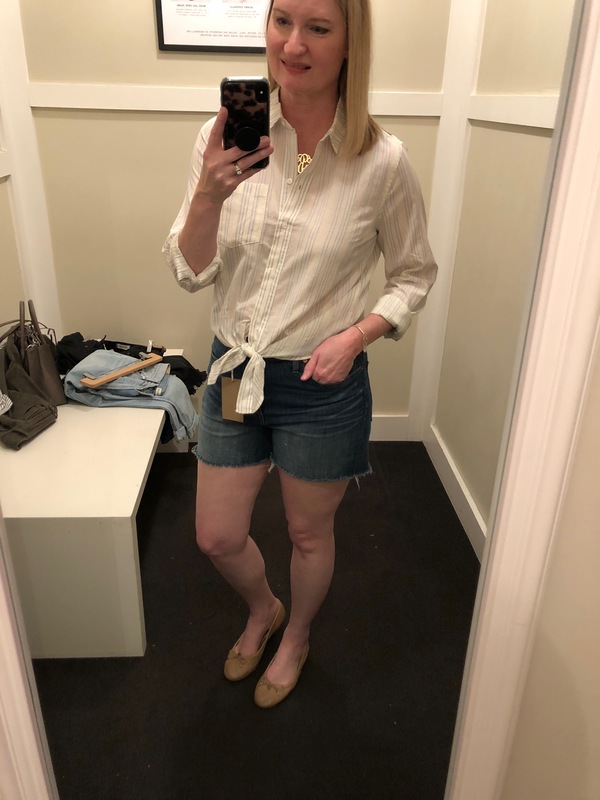 I tried on several new Spring items and shared them in the blog post, J Crew Factory Fitting Room Reviews. 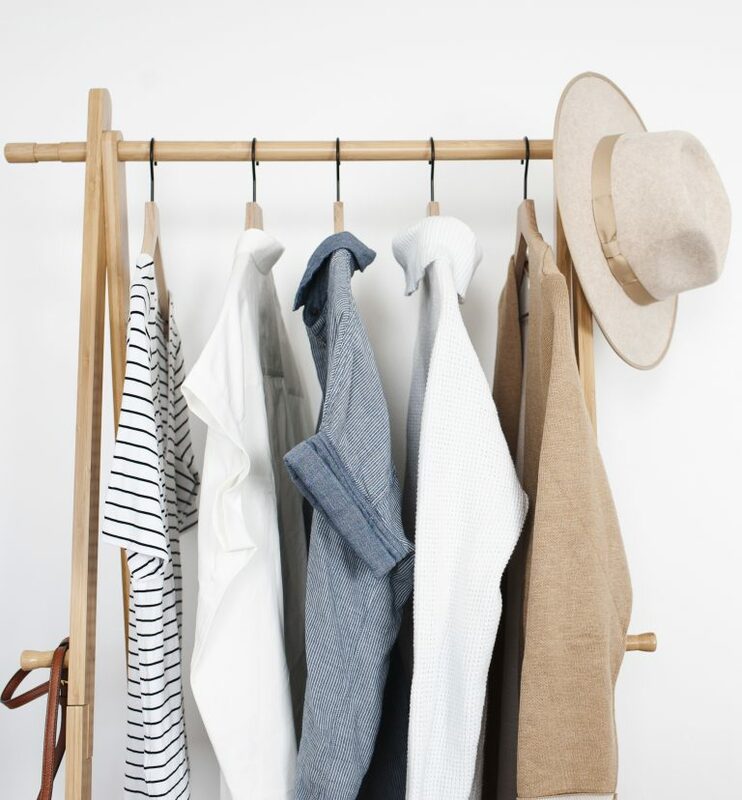 Because I use a Capsule Wardrobe and am conservative with my spending, I buy just a few items each season to go in my capsule wardrobe. I’m so glad I started using a capsule wardrobe a few years ago. I have a neat closet, always love what I wear, can get dressed in minutes, plus being conservative with my spending I was able to get myself out of debt!!! 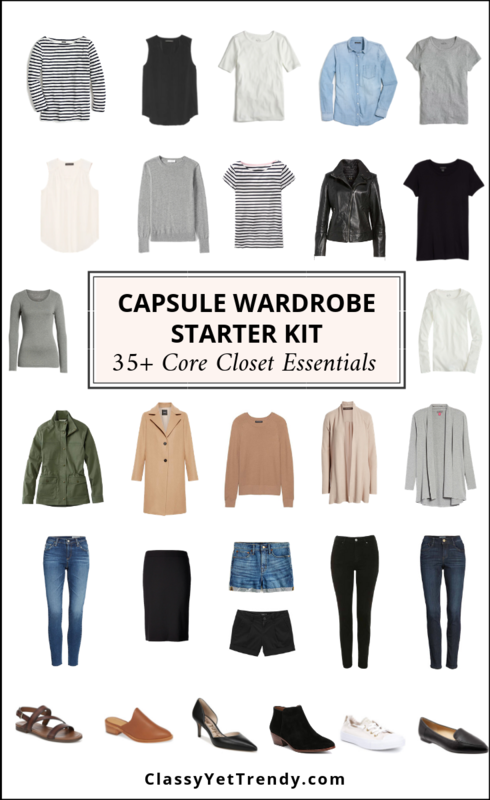 If you would like to know how I create my capsule wardrobe each season, see the post, “How To Start A Capsule Wardrobe: 5 Step Visual Guide“. 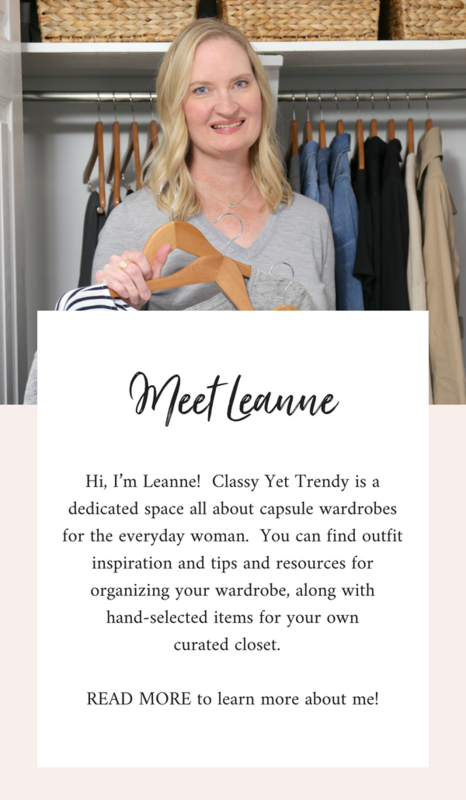 I use my Core Closet Essentials in the Simplified Style: A Year-Round Core Closet Essentials Capsule Wardrobe to create my capsule wardrobe, but like to add a couple of trending items to freshen up my wardrobe. Simplified Style will show you the basic essentials you need to create a complete wardrobe to wear all year. 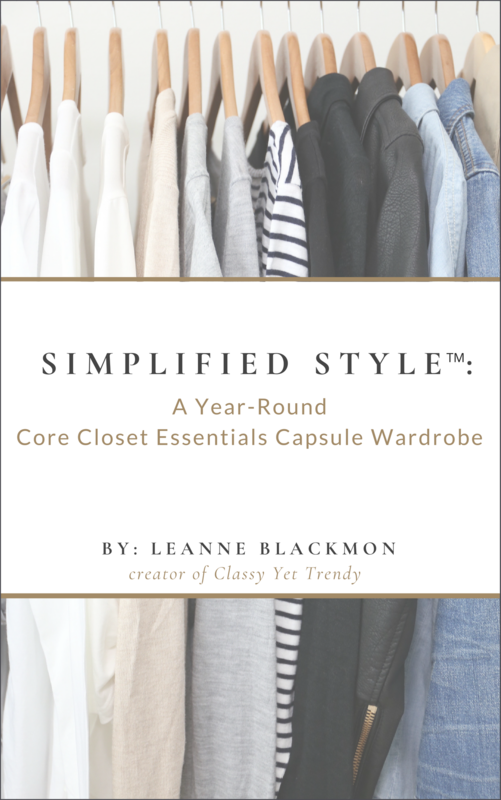 I also use several pieces in Simplified Style when I create the seasonal capsule wardrobe eBooks available in the Capsule Wardrobe eBook Store. Now onto the Madewell reviews! My favorite items at Madewell are their jeans, shoes, bags and accessories! Most of their jeans comes in Regular, Plus, Petite and Tall sizes and some of their tops come in Regular and Plus sizes. First, I tried on this Whisper Cotton V-Neck Pocket Tee in Creston Stripe and these Cali Demi-Boot Jeans in Marco Wash. I loved the whisper striped v-neck tee and the way it fit! My daughter has the crew-neck striped version and loves it! If I didn’t already have several striped tees I would have bought it. 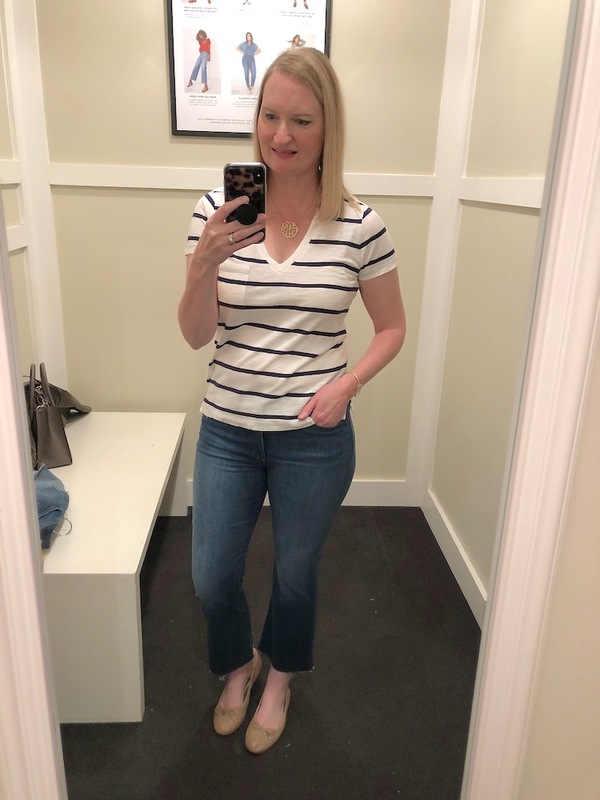 I had bought the striped perfect fit top at J Crew Factory earlier that day, so I passed on this one, but I recommend it! I tried on a size Medium for size reference. I have been wanting a pair of demi boot jeans, but I just can’t seem to find the right pair. They didn’t have these Cali Demi-Boot Jeans in Marco Wash in my size 30 in the store, so I tried on these in a size 29. They were a little snug but liked the raw hem. 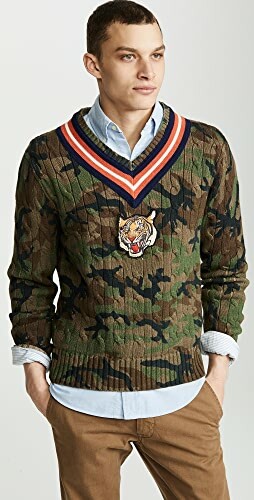 Turns out, they didn’t have my size online. I really like this pair of Cali Demi-Boot Jeans in Tierney Wash: Eco Edition with the regular hem, so I may order these. I love the central shirts, so I tried on this Central Shirt in Bright Indigo. I also tried on the Central Shirt in Roberta Indigo, but didn’t like it as well, since it was a thicker material. The Central Shirt in Bright Indigo (shown below tried-on) is a soft cotton material and is so comfy! You can wear it half-tucked in your jeans or pants, or tied in the front like I did shown below. The shirt is a Medium for size reference. 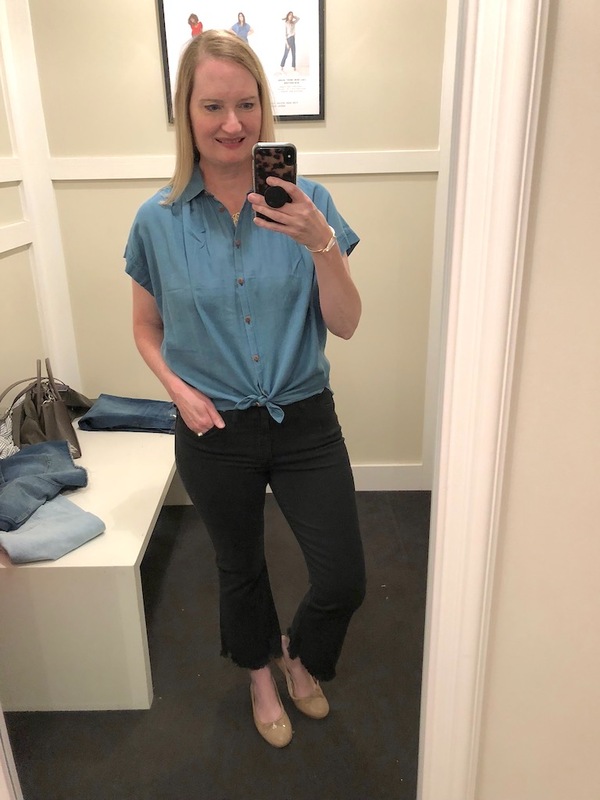 I tried on the shirt with the Cali Demi-Boot Jeans in Berkeley Black: Chewed-Hem Edition, in a size 30. These are a trendy alternative to your regular black skinny jeans! 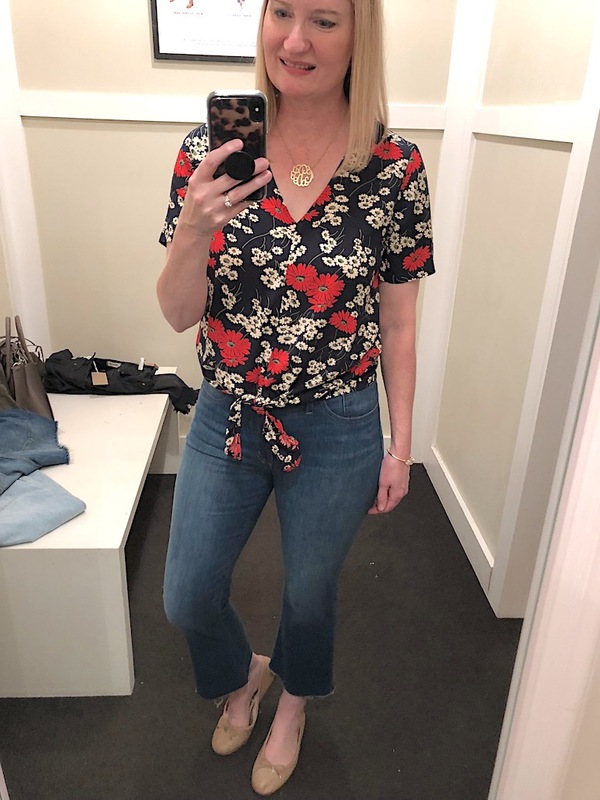 I loved this Tie-Front Top in Prairie Posies and bought it for my Spring capsule wardrobe! The Medium fit perfectly and the floral pattern is bright without looking too bold. I tried on the top with the Cali Demi-Boot Jeans in Marco Wash. This Tie-Front Top in Hillside Daisies is the same style as the Tie-Front Top in Prairie Posies shown above, but in a navy floral pattern. 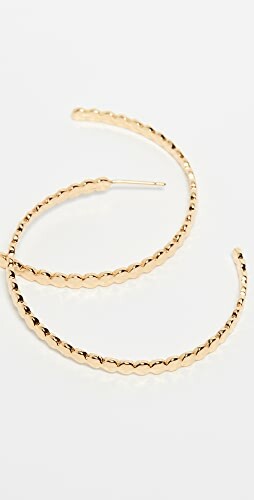 It was adorable and would look great with jeans, white pants or jeans, navy pants or a navy, white or red pencil skirt. Tie-front tops are very on-trend for the Spring! I really liked this blue striped tie front top, but didn’t buy it since I was just looking for short sleeve tops. It’s an ivory colored shirt with light blue stripes. 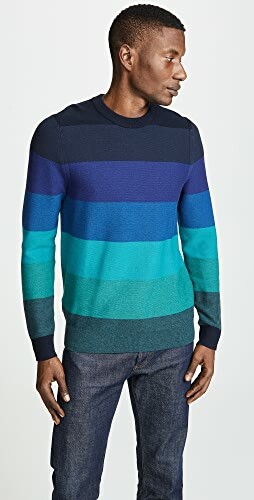 It is a lightweight shirt and would look great with shorts, like I’m wearing it, but would also look good with jeans or pants. I tried on a Large for size reference. 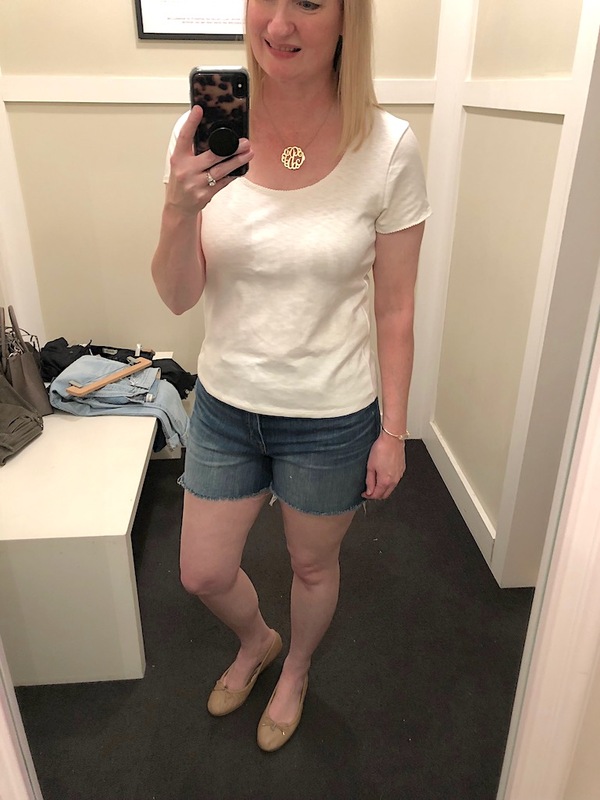 I tried on these High-Rise Denim Shorts in Glenoaks Wash, loved how they fit and bought them! Online, it shows the hem flipped up, but I left it down for a longer length (since I don’t like wearing short shorts!). I tried on a size 30. 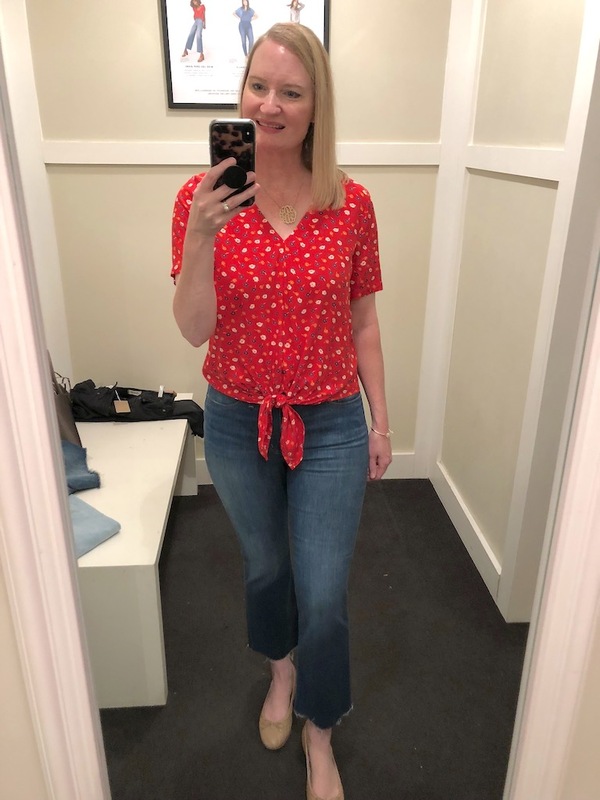 This Scallop Stitched Scoopneck Tee was so pretty in the store I wanted to try it on! It’s more of a fitted tee, but isn’t tight at all. This tee would make a great workwear basic essential! The material is thick enough so it’s not see-through. I tried it on with the High-Rise Denim Shorts in Glenoaks Wash. 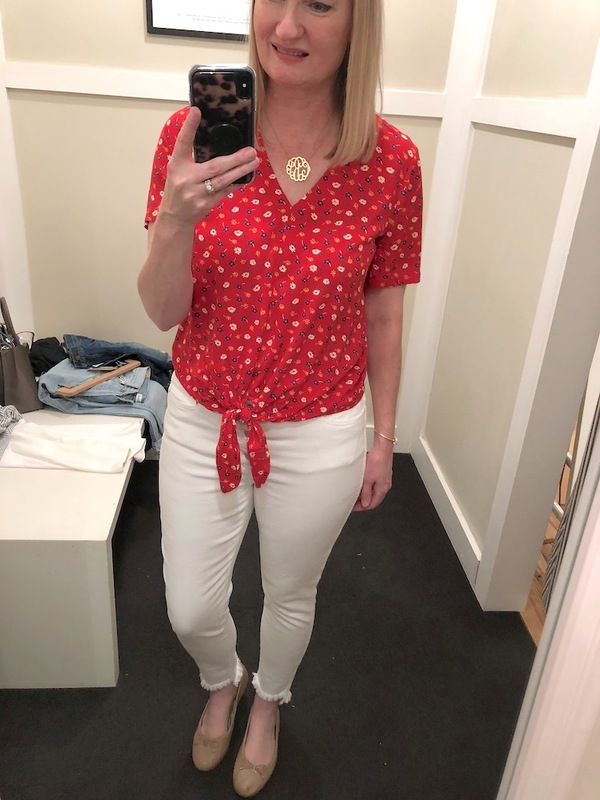 I tried on these high-rise white step hem jeans with the Red Tie-Front Top in Prairie Posies. I liked the step hem style of these jeans, but the material was a little too thick. Because our Spring seasons are usually warm, I figured that these jeans would be a bit too warm to wear all Spring. 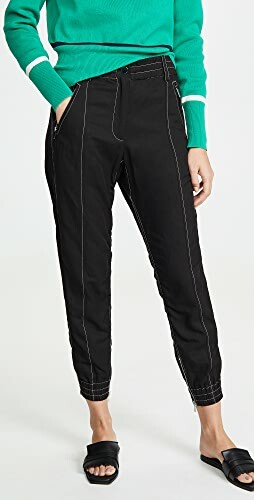 If you have mild Springs where you live, you’ll love these jeans. 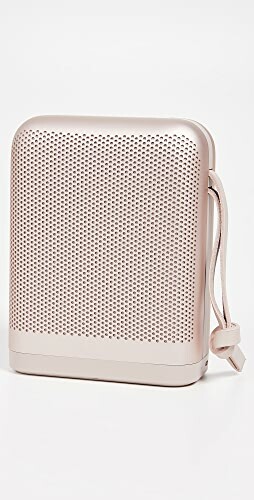 What did I buy from my trip to Madewell? 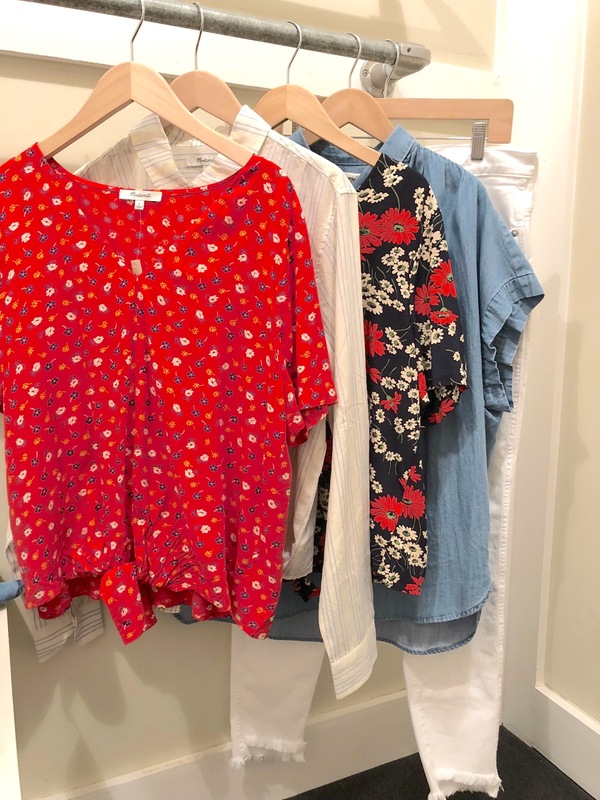 This Central Shirt in Bright Indigo and this Red Tie-Front Top in Prairie Posies for the Spring and these High-Rise Denim Shorts in Glenoaks Wash for the Summer. 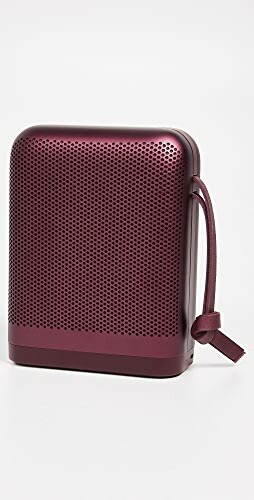 This is not a sponsored post, but I do include affiliate links. When you shop through my links, it helps support my business (at no additional cost to you) so thank you! Congratulations on your new home! One-level living is great. We moved about a year ago and I love it, after having a split-entry home. And so fun to have a fresh start. Enjoy! Thank you Kim! I grew up in a one-level home and it’s good to live in one again! Thank you, Leanne! 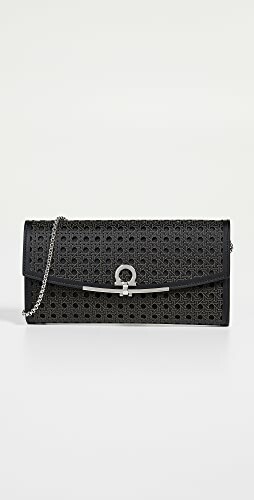 I love your try on reviews, and I appreciate you including the size information since we seem to have similar body types and I can usually count on them fitting me too! The whisper cotton tee you included in the SAHM capsule is my new favorite. 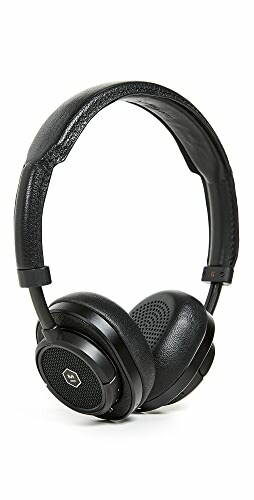 Love their quality! Thank you Christa! I love the Whisper tees too. 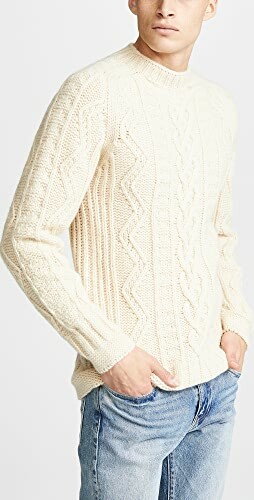 They are lightweight enough to layer, but also look great by themselves! Shop Navy Leggings, Long Black Maxi Dresses, Black Blouses, Fashion Jackets and more. Get this widget.